Shankar Panicker has donned a director’s garb in his ‘Keralotsavam 2009’ that deals with the hottest topic -terrorism. Shankar with Mohanlal in ‘Ividam Swargamanu’/Pic: P K Jeevan Jose. He was the reigning prince of Mollywood during the 80s. His chocolate hero looks and the boy-next-door roles earned him a huge fan base in Tamil and Malayalam. After a slew of films that failed to impress at the box office, Shankar Panicker almost called it quits but he’s back to where he belongs in a new role. The actor has donned a director’s garb in his debut commercial Malayalam directorial venture ‘Keralotsavam 2009’ that deals with the hottest topic of the season - terrorism. “Terrorism poses a major threat to all nations. The recent chain of events makes it a cause of concern in our country. Kerala was in the safe zone until recently. Now even God’s Own Country is not spared. ‘Keralotsavam 2009’ deals with how three youngsters fall prey to terrorist links, and their experiences in the Keralotsavam,” says the actor in a tone so polite that it reminds me of his all-so-virtuous hero roles that I was a huge fan of in my childhood. Quiz him on the transition from actor to director and Shankar confesses, “I was scared in spite of having been in the industry for many years. So before I embarked on directing a full-fledged commercial film, I did a one-hour tele cinema called ‘Kaatti’ last year. The response was overwhelming which pushed me on to do the docu fiction ‘Virus’, an Indo-American production urging society not to shun HIV +ve people.” ‘Keralot savam 2009’ stars Vinu Mohan, Sarath S Nair, Nedumudi Venu, Salim Kumar, Kalabhavan Mani, Ganesh, Sivaji Guruvayoor and debutante Vishnupriya in prominent roles. It’s after seven years that Shankar is facing the camera. He’ll soon be seen on the silver screen with Rosshan Andrrews’ ‘Ividam Swargamanu’ and ‘Casanova’ in which he co-stars with Mohanlal. The last time the duo acted together was in ‘Abhimanyu’. “Working with Lal has always been a pleasure. These films came my way after a chance meeting with director Rosshan Andrrews. 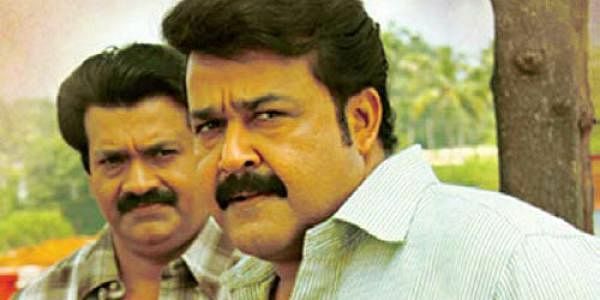 I play a lorry driver in ‘Ividam Swargamanu’ and the COO of a channel in ‘Casanova’.” Fazil’s directorial debut ‘Manjil Virinja Pookkal’ where Mohanlal debuted as villain had Shankar playing the hero. “My biggest mistake was doing every role that came my way. There was a time when I did as many as 30 films a year! I was typecast as a romantic hero with a goody-goody image and I didn’t feel the need to experiment with my roles,” he says reflecting on the setbacks in his career in spite of a sparkling start in Malayalam and Tamil (His Tamil debut ‘Oru Thalai Raagam’ released in 1980 ran to packed houses for more than a year). “So I purposely chose to do villain roles in ‘Abhimanyu’ and ‘Kizhakkunarum Pakshi’. But that didn’t give me a break either.” After he shifted base to the US in the late 80s, Shankar tried to get back in tinselville but his comeback vehicles (forgettables like ‘Bhadra’, ‘Sooryavanam’ and ‘Fire’) failed to impress. A handful of television serials happened in the meantime. But the actor says he’s not game for it any more. “Serials are highly paying and earn you popularity but the working pattern in a serial is quite different from that of cinema. It’s more strenuous.” A pause later, he adds, “I believe in destiny. What has to happen - whether it’s good or bad - will happen.” Shankar is definitely not someone to sit back and live on the glory a bygone bright past or rue the failure of his comeback ventures. “If I get powerful roles with depth of character, I’ll be around in Mollywood.